Yair Cohen’s new controversial book: The Net Is Closing, birth of the e-police. A powerful debate about the future policing of the internet; a platform from which the crying voices of victims of online crime can be loudly and clearly heard. I celebrate my new book The Net Is Closing: birth of the e-police. The net is closing. The e-police are here. That is the controversial debate this book brings to the fore. Telling a painful truth about what really happens online, the net is closing: birth of the e-police calls out internet bullies and online anonymity, and shines a bright light on who (or what) is behind policing our current “virtual” reality. The book is a polemical work about online safety and policing. It argues for a move away from self-policing and towards a more conventional form of state maintained supervision in the still relatively new sphere of human activity of the internet. The inevitable conclusion, that soon, the internet will become neatly policed, is primarily based on my own extensive experience of working as a lawyer in the field of online defamation, harassment and infringement of privacy. I deploy this experience, along with my personal observation of the other forces which shape online behaviour, such as the profit motive of large social media businesses, to make a case for an approach to self-expression and anonymity online which is more consistent with the “real-world” already standards applied to offensive conduct by the state. Through powerful real life stories, addressing the conflict between emotion and logic, I tell the stories of a prominent football coach child abuser who carefully orchestrated sexual assaults on dozens of young victims so that he can freely share the videos of his abuse online, and that of a school teacher whose innocent quest for companionship online turned into a pornographic nightmare involving blackmail and extortion by the Moroccan mafia. I also follow the story of six form pupils from London who whilst studying for their A Level exams were left to fend for themselves after they discovered a Facebook Page, which contained hundreds of commentaries about pupil’s alleged sexual activities. Dozens of pupils and their parents who reported the page to Facebook did not even get a reply, let alone a removal of the shaming information, whilst the Head Teacher claimed that because the activities on the shaming Facebook page were “carried out after school hours,” it had nothing to do with the school. Consequentially, at least one pupil was ready to take his own life. In my book, I dare asking challenging questions such as, how do we want our online presence to be governed and policed? And, what priority do we give to safety versus freedom of expression? I cannot promise that you will like what this book says. You may well disagree with my conclusions, or even become angry or scared by some of the things I have to say. But that is what I want. It’s what I believe society needs: a powerful debate about the future policing of the internet; a platform from which the crying voices of victims of online crime can be loudly and clearly heard. 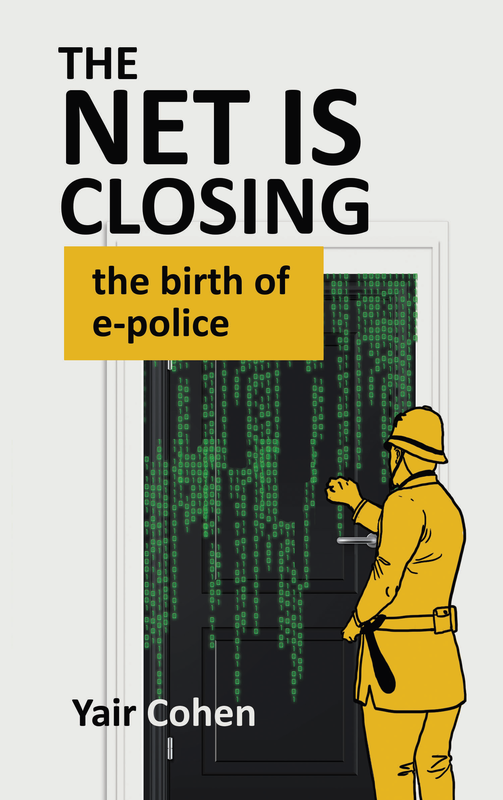 The Net Is Closing: birth of the e-police is now available on Amazon. Enjoy and let me have your feedback!